FREE Eileen Fisher Fashion Show, Featuring Yours Truly! 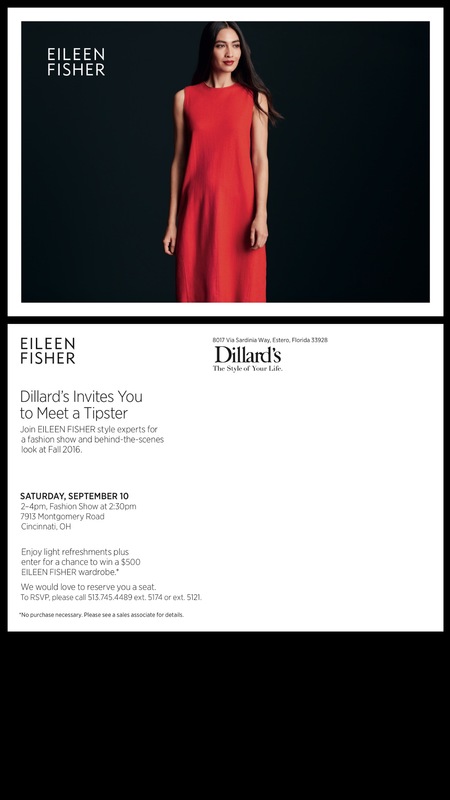 The Dillard’s at Kenwood Towne Centre is hosting a fun event with high-end designer Eileen Fisher on Saturday Sept. 10 from 2-4pm. They asked me to be one of the local personalities that they’ll be featuring as a model (I’ll be 7.5 months pregnant by then, so this should be interesting! haha!). They’ll have our fashion show, plus refreshments, giveaways, and great style advice from their “Tipsters” (style experts). Oh, and it’s free to attend! 🙂 Should be a fun event, so I hope to see you there! RSVP by calling 513-745-4489 x5174 or x5121. Previous PostSchool’s Back, Moms Relax is THIS FRIDAY!Next PostSneak Peek: CiTiRAMA’s NEW Family Fun Day!